Giant Hoop Lights are certainly becoming popular in contemporary lighting design because of their sleek and organic shape, and that's why we know you'll love Hoop LA by Arlico. 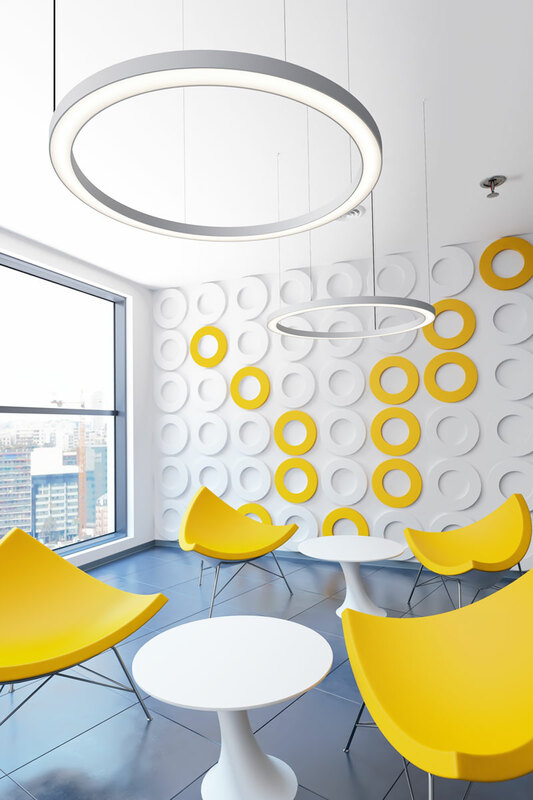 We've created this floating circular ring shaped light to create a striking impression in any application. Because of it's aluminium profile and soft illumination, Hoop LA is suited to contemporary office lighting, or use as a decorative feature pendant for open areas such as retail, hotel, and atrium lighting. Available in a number of sizes. Braided wire - Clutch adjustable. For sizes up to 950mm, suspensions emanate from a single central ceiling rose.